Post-sand extraction restoration of Banksia woodlands, Swan Coastal Plain, Western Australia. Posted on 5 March 2016 by teinm | Comments Off on Post-sand extraction restoration of Banksia woodlands, Swan Coastal Plain, Western Australia. Key words: research-practice partnership, adaptive management, smoke technology, cryptic soil impedance, topsoil handling. Figure 1. 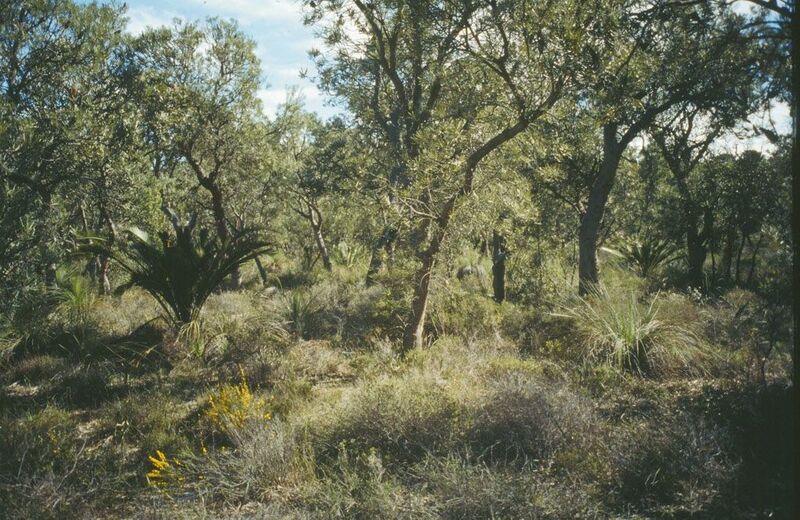 Examples of undisturbed Banksia woodland reference sites. Introduction. Banksia woodlands were once a common and widespread feature of the Swan Coastal Plain, Western Australia (Fig. 1); today less than 35% of the original Banksia woodlands remain in metropolitan Perth. When sand extraction activities were permitted over 25 years ago, Hanson Construction Materials opted to go well beyond the statutory minimum requirement of re-instating local native species. 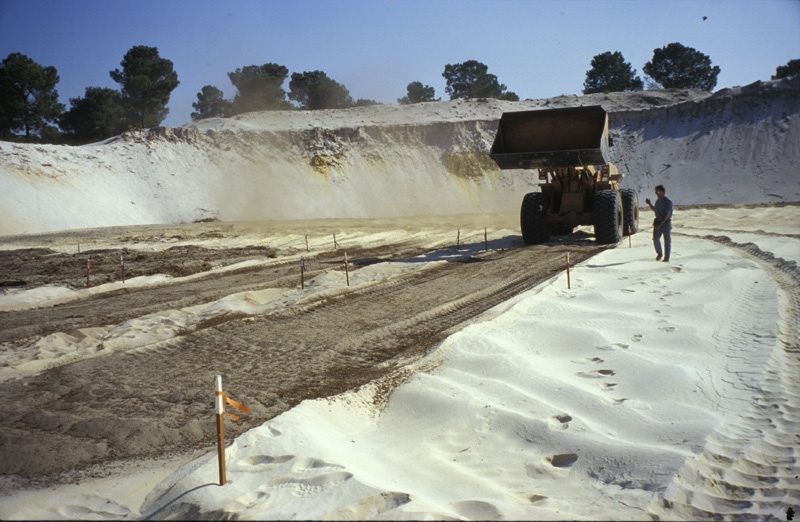 Instead, Hanson committed to meet the challenge to return post-sand extracted sites (Fig. 2) to an ecosystem closely resembling the pre-disturbance Banksia woodland. To achieve this high resemblance to the reference ecosystem, Hanson operations sought the assistance of the Science Directorate team within the Botanic Gardens and Parks Authority in 1995. 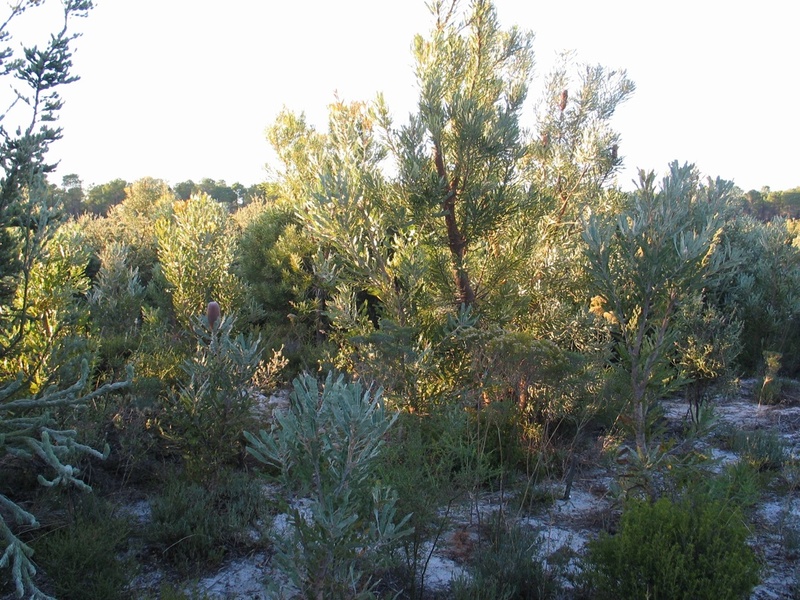 BGPA developed and implemented a research and adaptive management program with Hanson, resulting in a collaboration involving graduate and post-graduate student research programs into key facets of Banksia woodland ecosystem restoration, application of outcomes into restoration operations, and finally, restoration sites that are beginning to mimic reference sites (Fig.3). Prior to the partnership, species richness and plant abundance, and thus restoration success, was limited in the rehabilitation. Research and adaptive management subsequently focused on improvements in soil reconstruction; topsoil management; seed germination enhancement (including smoke technology); seed broadcasting technology and whole-of-site weed management. Monitoring. BGPA scientists have been undertaking annual plant monitoring of Banksia woodland restoration activities within reference and restoration sites for ca 15 years. This has resulted in data-sets on seedling emergence and plant survival within a range of sites, culminating in the development of annual performance criteria and ultimately, the ability to measure restoration performance in the short (e.g. from seedling emergence) and long-term (e.g. from plant survival). Figure 2. The greatly reduced Banksia woodland sand profile following sand extraction, with topsoil being spread onto the pit floor. good restoration quality (high topsoil quality and favourable climatic conditions). medium restoration quality (poor topsoil quality or unfavourable climatic conditions). poor restoration quality (poor topsoil quality and unfavourable climatic conditions). Identification of first year species re-instatement being the blueprint for long-term species re-instatement. Observation of cryptic soil impedance and extremely high plant loss in the standard ‘topsoil over overburden’ profile during the 2nd summer following restoration, but higher plant re-instatement and better ecosystem dynamics in the long term. Improvement in seedling re-instatement, illustrated by perennial species return increasing from less than 10% to more than 70% (i.e. >100 perennial species), and stem density return of >140 perennial plants per 5m2 in Year 1, primarily due to improved topsoil handling methods – i.e. good quality, fresh and dry topsoil. A ten-fold increase in the stem density of seedlings derived from direct-seeding due to innovative seed coating technology, delivery to site technology and sowing time optimisation. Trebling of seedling recruitment success due to application of smoke technology. Minimised weed invasion through the use of good quality and fresh topsoil, burial of the weed seedbank and prompt active weed management. Figure 3. Restoration sites after 8 years, illustrating the return of the Banksia trees. Implications for other sites. The post-sand extraction sites have provided important lessons and information about the management and restoration needs of Banksia woodlands – e.g. a high level of intervention is necessary, whilst cross-application of general restoration principles are not always possible for Banksia woodlands – useful for all those involved with managing and restoring Banksia woodland fragments within the broader Perth region. Current and future directions. Hanson is committed to ongoing improvement through research – continually testing and employing new research techniques, programs and equipment that are recommended from BGPA research programs. ceasing the common practices of mulching sites and tree-guarding plants as they provide negative or no benefits. The partners are considering re-doing sites rehabilitated during 1991-1994, prior to research, in order to improve species diversity. Acknowlegments: Botanic Gardens and Parks Authority and Hanson Construction Materials are the key parties in this project; involving many individual managers, researchers and students. This entry was posted in Integrating ecosystems & industries, Monitoring, Planning, monitoring & assessment, reconstruction, Restoration & management theory, Sclerophyll communities, Standards, Techniques & methodology, Threatened species & communities, Weed issues & solutions, Western Australia and tagged Mine site rehabilitation, REseaerach-practice partnerships. Bookmark the permalink.